"#1 Sports game in 5+ Countries"
"Top 5 in Sports globally"
Welcome to the world of Tennis Bits! 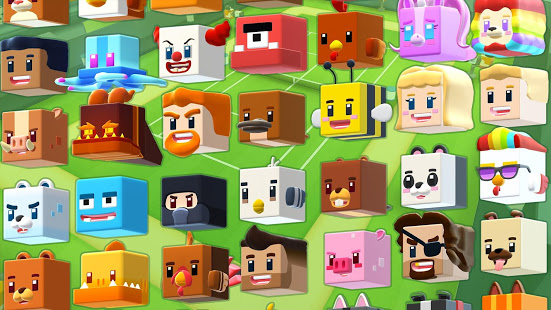 Brought to you be the creators of Bouncy Bits, and Fishy Bits! Have your ever wanted to know who would win between a Jellyfish and a Polar Bear?? Well now you can find out!! Swing your racket, and put on your cheese hat! 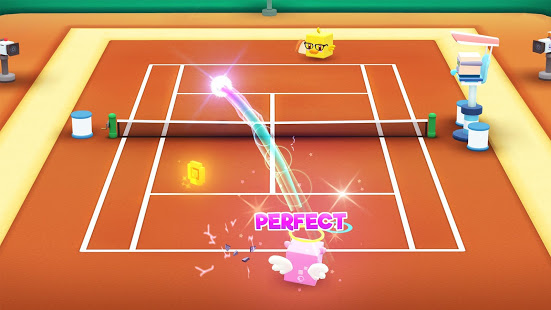 Climb to the top of the ladder and become the Ultimate Tennis Bits Champion in this awesome Arcade Tennis Experience! Earn coins to unlock a wide range of Characters, Rackets, and Hats to increase your power and rise to the top! - 45+ Characters to choose from! - 1000’s of sweet Hat and Racket combinations! - Challenge mode and an Endless experience keep you going forever and ever and ever! 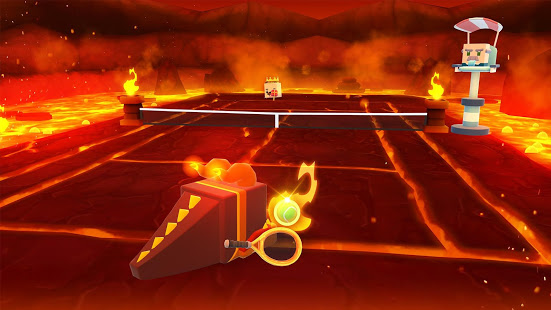 - Loads of sweet environments, from stadiums to lava pits! - Awesome VO and SFX for every character! 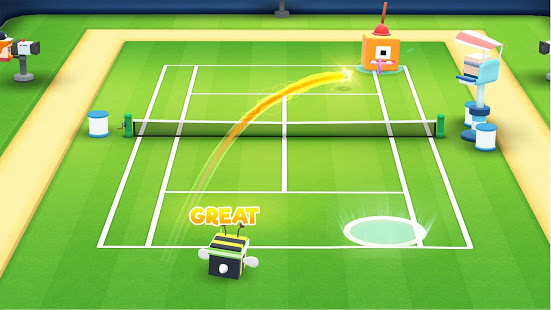 Tennis Bits is completely free to play. However, some items can be purchased for real money. If you don't want to use this feature, please disable in-app purchases in your devices settings. 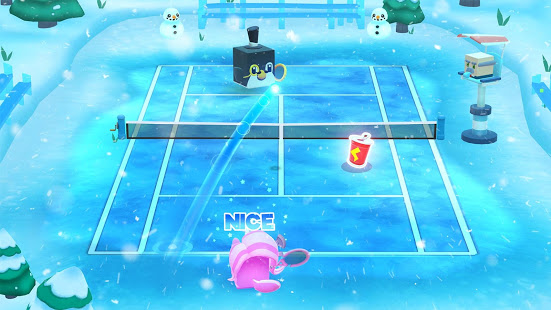 Tennis Bits was developed by PlaySide, the developers behind Editors’ Choice title “Catch The Ark”, Icy Ropes, Lego Batman, Batman v Superman, Spongebob : Sponge on the Run, and Bouncy Bits. No wombats were harmed in the making of this game…..